Bodie as he is known is just one of the most layed back dogs I have ever bred or owned. He just started being shown this year and in 12 shows has earned 13 points towards his AKC Championship. Which includes one 3 point major and one 4 point major. After Bodie is finished he will be stepping in as Alexa's Jr's dog. We are very excited to say that today Oct 25th at the Saline County KC in Benton, AR under Judge Mr. Don Rogers. Geran's Quality In Motion AKA Bodie was WD, BOW & BOB over two Specials to complete his AKC Championship to become the 9th Champion out of his Dam CH Geran's Always On My Mind ROM. 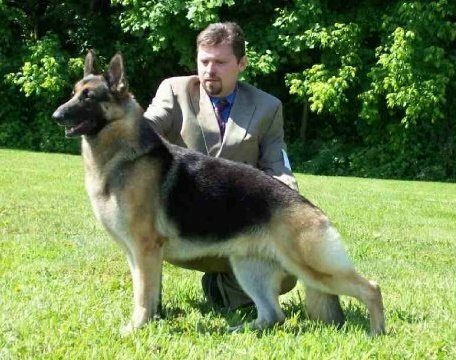 Bodie is From My My's 1st litter which was Sired by Ch Gold Medallion Of Nordlicht. Bodie was shown this weekend by Mrs. Vicki Havicon. Most people don't know Vicki but she is a well known Terv breeder, handler. I also want to Thank Mrs. Linda Williams & Ms. M' Kayla Stahr for their effort in grooming and showing Bodie to a 4 point and 3 point major in one weekend. Bodie was only shown 15 times and finished with 2 majors and a major Res. Once again a HUGE thank you to our friends M' Kayla, Vicki & Linda for a great job.